It was a great opportunity to work in color again (something I haven't done since finishing DCiGTH), even though I felt a bit rusty. The cover image was inspired by the mythological homunculus and my ever-growing obsession with tiny houses, mobile homes, and other artificially compact environments. If you're interested, the issue is available for iPad and as a pdf. 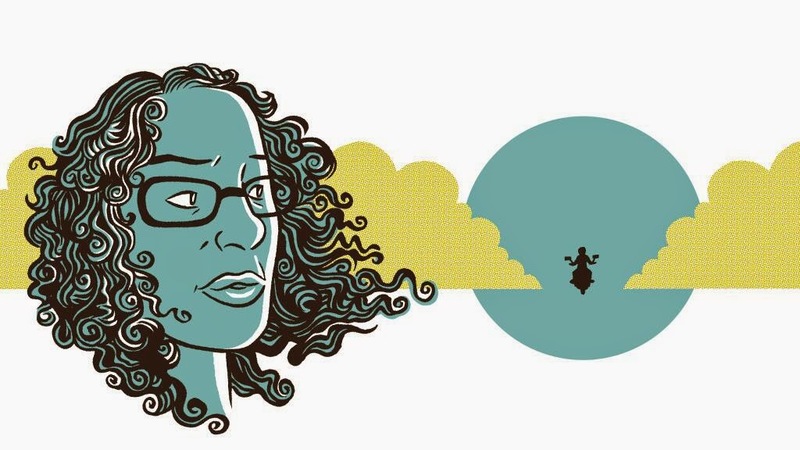 Elsewhere in the internet, I did a couple illustrations for "Saying I Do, And Saying Farewell" by Niva Dorell, who lost her husband of eleven days to a brain tumor. It's a sad, touching story, and I tried my best to honor it in the art. Below is the cover image for the story, and there are a few more spot illustrations on the Narratively website. Between these projects and shipping out our Kickstarter rewards it's been a busy few weeks! See you on the other side, friends.